Our Garni "Cudlea" is situated 1 km from the main centre of Selva. It is positioned in a very silent place of the town and is the perfect point to start your sport activities in summer or winter. 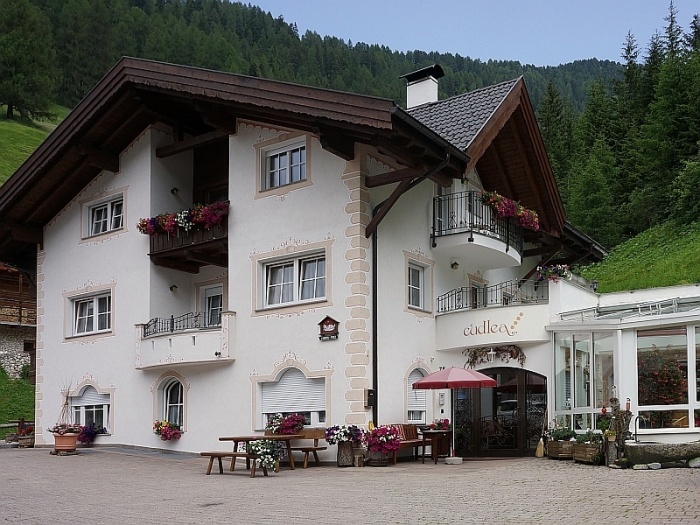 The nearest chairlift is only 200 m away (Sellaronda-connection), and you can reach our house by skifrom the slopes of "Plan de Gralba". The next bus stop is 100 m away..
Our house is furnished very tasteful with a Tyrolean Style and refined with all the little things for our guests feeling well. 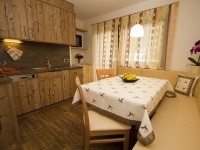 Our rooms and also the appartments are very spacious and comfortable. 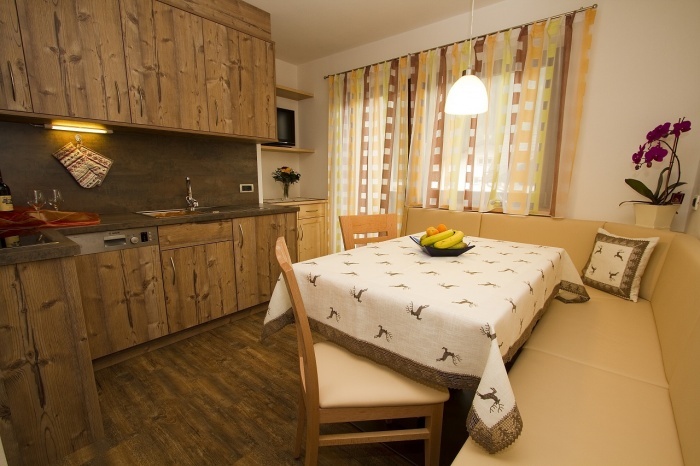 We also offer you an exlusive Wellnes Area, Parking space, a ski deposit with boots dryer, Internet connection and a spacious garden. 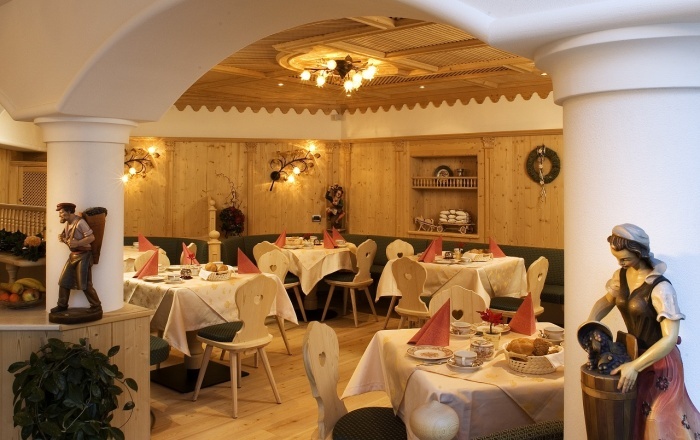 We offer you a great buffet for breakfast in the elegant dining room with a covered and heated terrace. We have also our own Ski Instructor! We look forward to welcome you in our house! 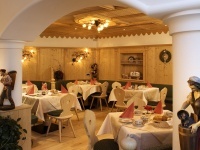 VALGARDENA-WEB.COM - Information portal about Val Gardena / Grden and the Dolomites. Sitemap: The most important vacation information at a glance!